When we lived in Cape Town for a year and a bit, prior to moving to Sydney, my two younger sons were at that phase of life when they tortured me by demanding to know what my favourite colour was. I usually answered green, and sometimes blue. In the end I settled for revenge. I decided my favourite colour was the sea. “Oh, you mean blue,” they’d answer. In time, with my many walks along the beach and time spent sitting on the rocks in contemplation, the answer became a poem. Once we had settled in Australia I hunted through my photographs and placed them together with the poem into a PowerPoint presentation, which I then printed out and popped into a folder. There is a subtext that follows the life of this little book. 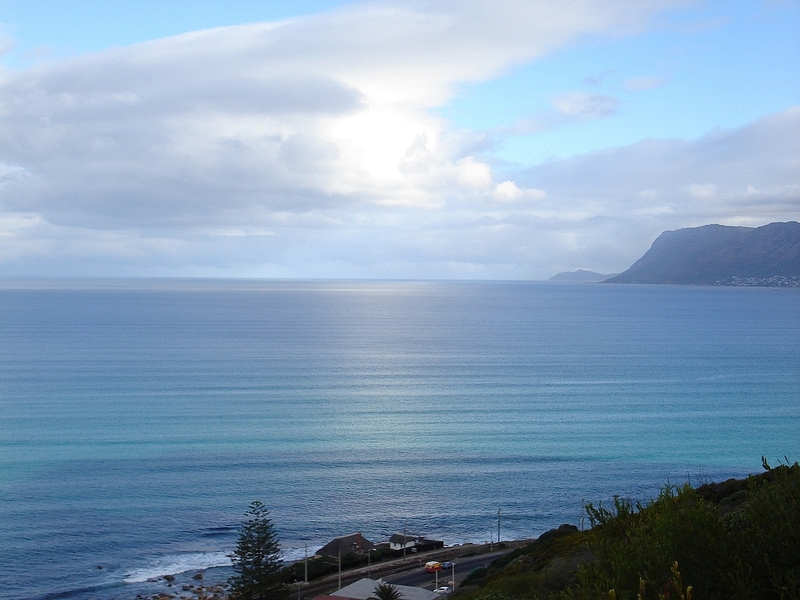 Our move to Cape Town following the sale of our house in Johannesburg was confounded by an inability to obtain bridging finance and a six-month wait for the money to come through. Those six months were desperately difficult as my nursing salary was far less than I’d earned in IT. We struggled to feed ourselves. Those days on the rocks or beach absorbing the colours of the ocean were, for me the peaceful battleground as I learned not to panic and to trust my ability to steer my family through crisis. Eventually the money from the sale of the house came through, every debt was paid and we planned our move to Sydney. The initial putting together of the poem into PowerPoint was during our time of settling in to a new country and a new life. Again, the budget seemed impossibly tight at times, and I dreamt of the possibility of making a few pennies from my writing. I entered the poem into the Eastwood/Hills Annual Literary Competition and it received a Commended. This year, once again we face a crisis following the car accident in February and the possibility of bankruptcy following on from that. The poem and photographs have become my learning curve and initiation into the world of self-publishing. This poem not only answers the question my sons asked, “what you’re favourite colour?”, it is also a subtext of life – it’s mornings and evenings, blue skies and stormy days, and all of it is beautiful. All of it is my favourite life. 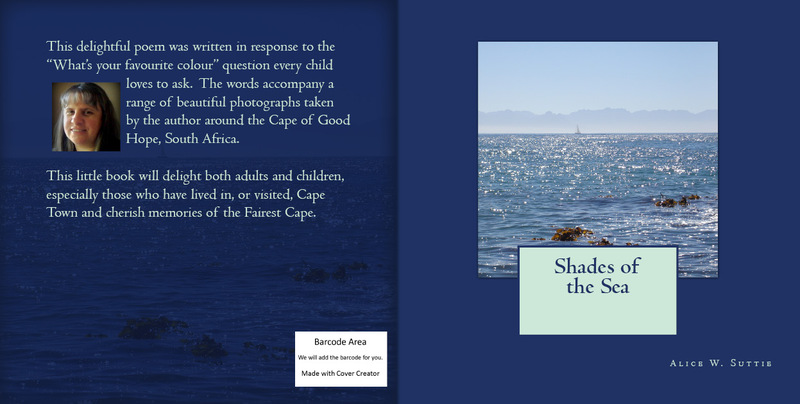 The book is available via CreateSpace: Shades of the Sea or on amazon.com. ~ by Dragonwyst on June 9, 2013.